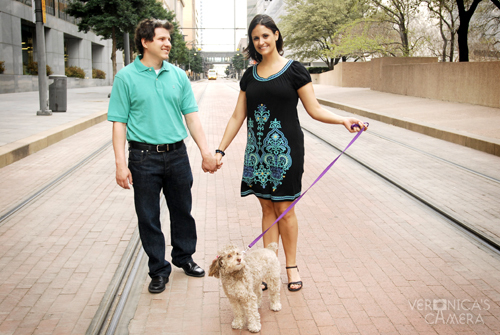 Stephanie and Joe had a cool idea to have two engagement sessions. Session number one took place at the State Fair of Texas. And session number two took place in and around Downtown Dallas. We went to Thanksgiving Square, the Dart Rail, the Dallas Museum of Art, and a few other stops. Stephanie and Joe also had another cool idea. They brought along their sweet doggie! She might have had more fun than all of us (except when she wasn't the center of attention, that is).